As a naval pilot, he narrowly escaped death in a fire aboard the USS Forrestal in 1967. 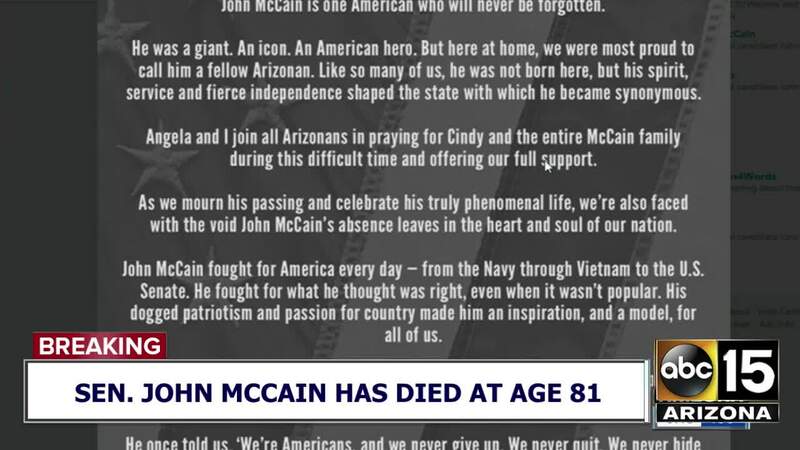 Also in 1967, McCain's plane was shot down over Hanoi, Vietnam, and he was captured by North Vietnamese troops. He was tortured for more than five years as a prisoner of war. 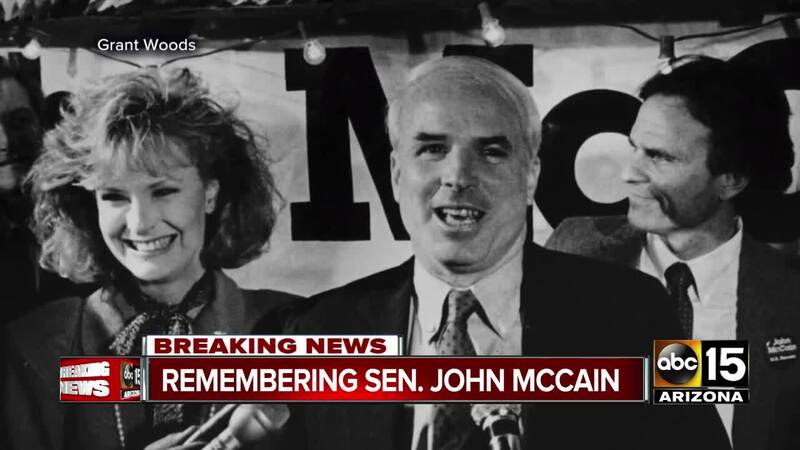 McCain married Cindy Hensley, his second wife, in 1980. She is the daughter of a Valley beer distributor. McCain fathered seven children, including Bridget, a girl adopted from Bangladesh. Another daughter, Meghan McCain, is a television host and blogger. 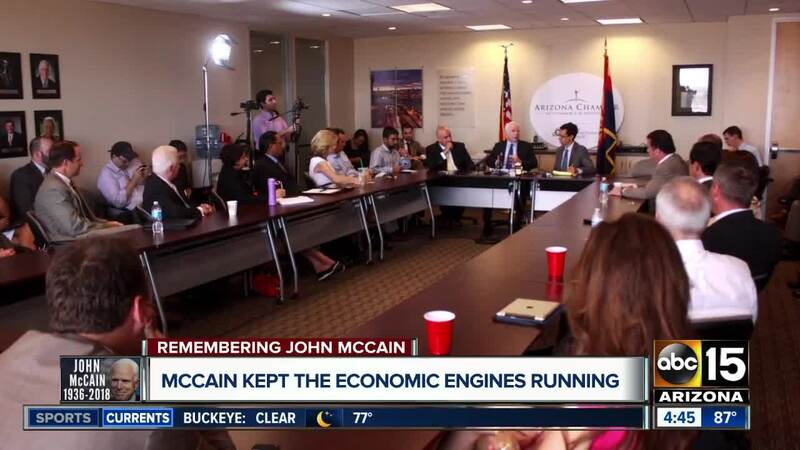 A low point in his political career was when McCain was implicated in the Keating Five campaign contribution scandal. The senator emerged with a new passion to reform money in politics. Called a maverick, he bucked his party as he worked with Democrats on campaign finance and other issues. 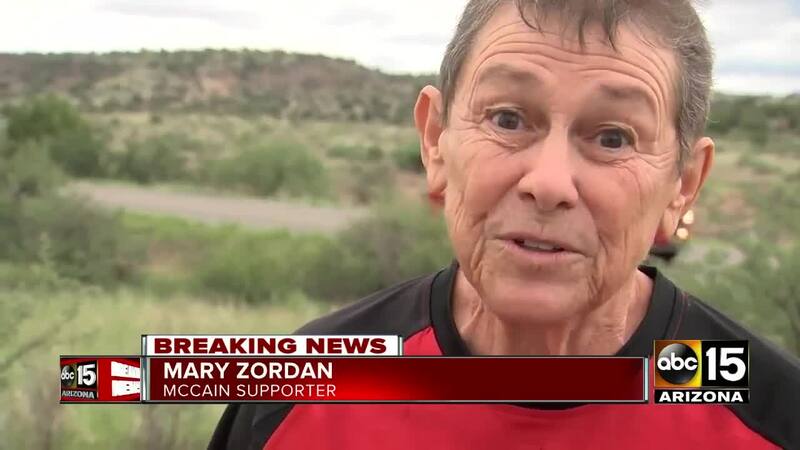 McCain campaigned for president in 2000 and 2008. In 2008, he won the Republican nomination with a surprising choice of running mate: then-Alaska Gov. Sarah Palin. 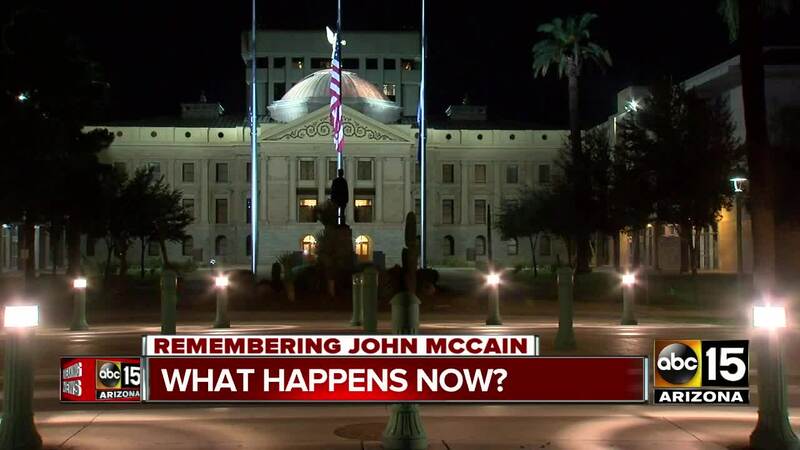 McCain lost in the general election to Democrat Barack Obama. In 2000, McCain rode his Straight Talk Express bus as he campaigned, and George W. Bush ultimately won the nomination. Due to the lasting impacts of his torture as a prisoner of war, McCain could not lift his arms above his head. He had other health scares, including bouts of skin cancer that left a large scar on his cheek. 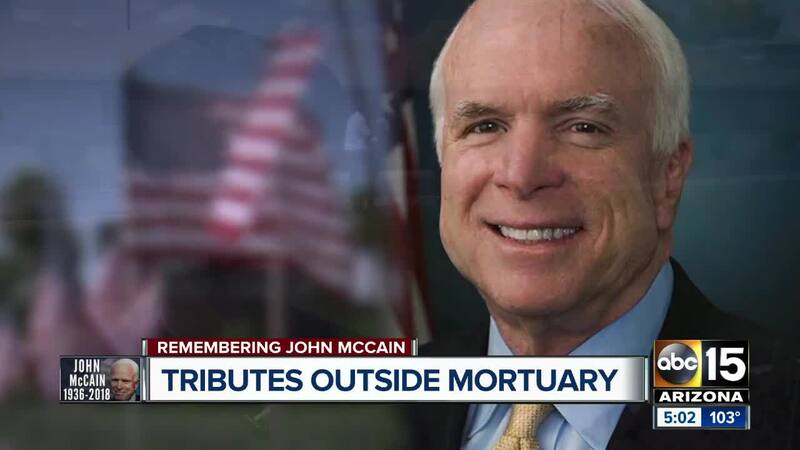 In July 2017, Sen. McCain was diagnosed with glioblastoma , a deadly brain cancer. 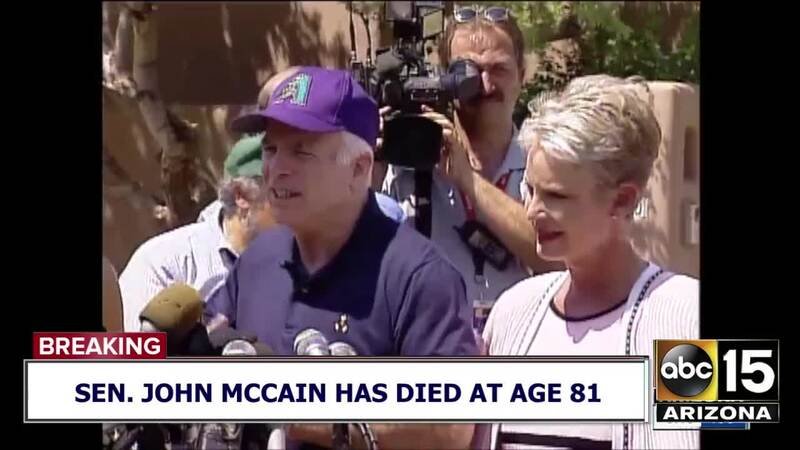 The McCain family announced that he chose to discontinue medical treatment just a day before his passing. 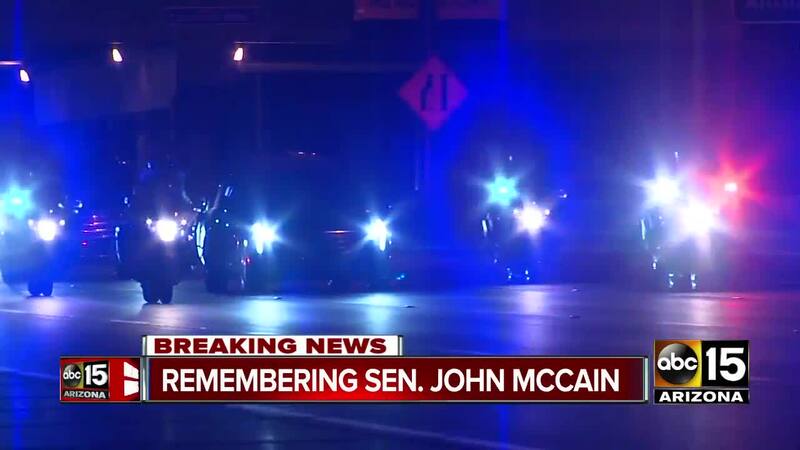 Even in his waning days, McCain lived up to his reputation as a maverick. 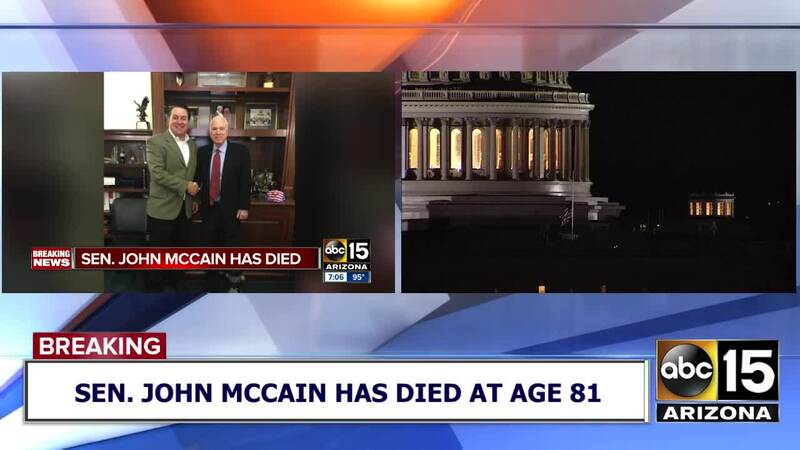 In August 2017, less than two weeks after surgery to remove his tumor , McCain returned to the U.S. Senate floor to become the deciding "no" vote on repealing Obamacare.